I had originally planned to take a trip to Ireland in the Fall instead of in the Spring. The only reason that didn't happen was because I have a work project that launches in the Fall and I knew that asking for time off would be like asking for furlough from prison. Why, yes. I did binge watch Season 2 of Orange is the New Black this week. I did that instead of writing blog posts. It also means that returning home pretty much meant I had to hit the ground running with work. Time off between now and when this project finishes is going to be a precious, precious commodity. It also meant that after 7 hours staring at a computer screen writing, I've found it really hard to come home and write for fun. It's like being in university again, when you didn't read any 'fun' books because there were so many bloody textbooks you had to read. Also, the World Cup started so there goes a huge chunk of my weekends until July 13th. 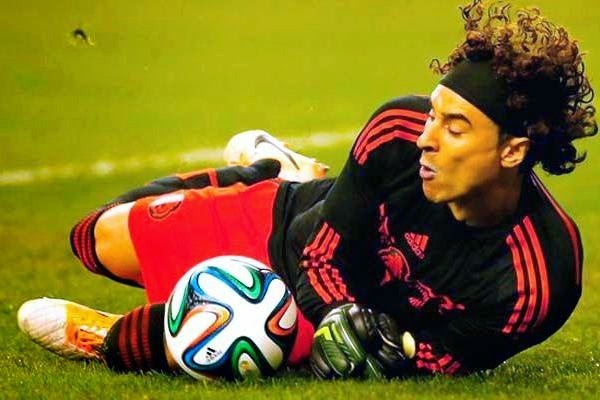 New favourite goal keeper: Guillermo Ochoa from Mexico. That man is the only reason Mexico tied with Brazil instead of losing. But it hasn't all been work, eat, sleep since I got home. I spent a day volunteering for the UrbaCity Challenge with my friend. 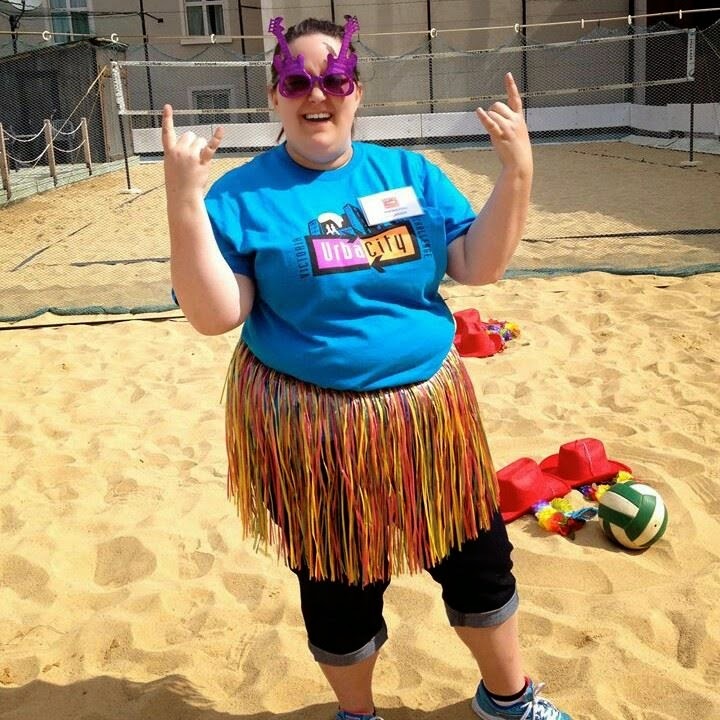 We ran the challenge station at the beach volleyball courts on the roof of the Sticky Wicket pub. Six hours spent running around in the sand, laughing with the challenge participants, and raising funds for the Prostate Centre in the lead up to Father's Day and all I got was a lousy shirt, a farmer's tan, and this awesome picture from our set up. We're ready to rock this station! I spent an awesome Thursday night with friends drinking beer for charity (no, really) before taking a dry erase to a certain store front in the name of the World Cup. I was at that same store the next day watching Switzerland lose to France... badly. The upside to watching this happen with them? I got a consolation macaron with every goal France scored. It made up for losing the bet to them on the game. Like the rest of the known Geek Realm, I watched the season finale of Game of Thrones. I understand why a certain character wasn't shown in the season finale (especially given how much is going on) but said character better still be included in season five. 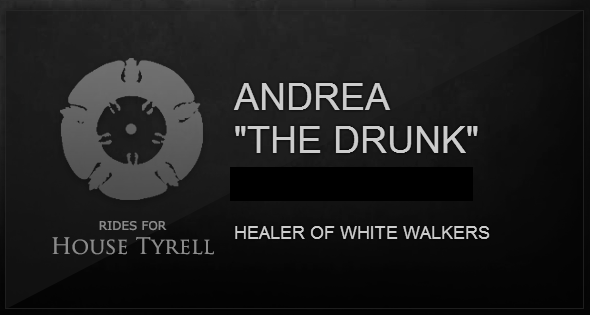 I also did that quiz and ended up with my Game of Thrones name. The highlight of the past few weeks, however, was eavesdropping on the conspiracy-fuelled coffee shop conversation of a Putin-supporting, capitalist-loving but corporation-hating, Chavez-defending, anti-media spouting, global-warming-denying, devout Catholic. Seriously. I half expected someone to jump out and shout "Surprise. You're on Candid Camera!" Sadly, it did not happen. All-in-all, not a bad June. And I have a few posts actually scheduled for this week so you won't have to wait so long to hear from me again! Question: Anyone else following the World Cup? Who are you supporting? Favourite moment so far? Klose tying the record for most goals ... then missing his flip in celebration. ;) In the slow-mo you could see the realization in his face that he wasn't going to make it. Funny! Oh my goodness, I'm going to have to find the slow-mo!